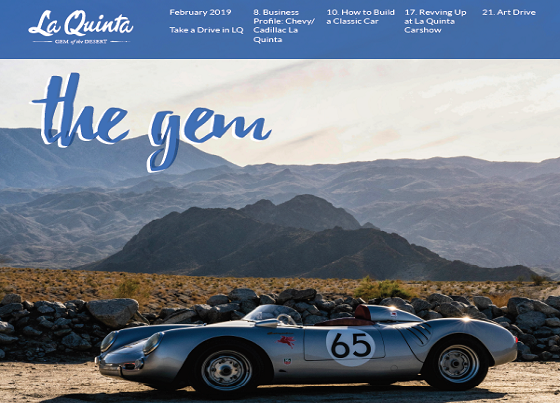 La Quinta, CA: The GCV La Quinta Chamber unveiled a brand-new glossy edition Gem this month. The Gem is a publication circulated monthly to every address in La Quinta informing residents of business and community news in their area. The publication is also available monthly at TheGemLQ.com. The Gem contains monthly articles submitted by GCV Members, as well as articles form staff, discussing matters of business, community, and local happenings. Contact your GCV Account Executive to learn more about submitting articles to the Gem, or how you can advertise – 760.347.0676.